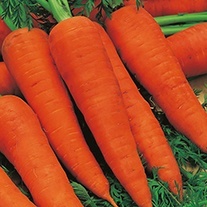 Carrot Seeds delivered direct by D.T.Brown seeds. 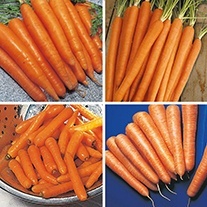 The carrot is a biennial, which we grow as an annual. 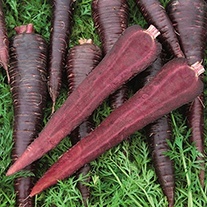 The cultivated carrot seems to have originated in Afghanistan around 5,000 years ago, in those day its roots were purple or violet rather than the now-familiar orange. 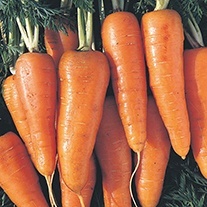 We believe an orange carrot was selected in the Netherlands around 1600, but the story it was developed to honour the Dutch Royal House of Orange is probably fictional, although this was once widely believed. 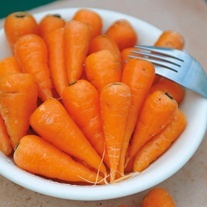 Carrots prefer deep, fertile soil that is ideally a bit sandy. 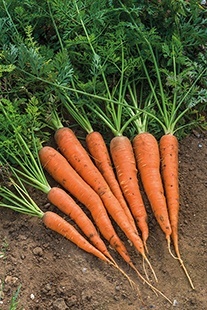 If you have heavy or stony soil, grow short-rooted varieties such as Chantenay or Early Nantes. 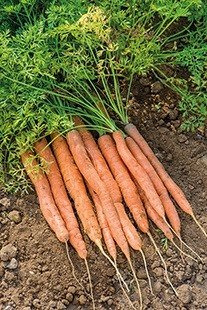 Carrots do not like manure and shouldn’t be grown in freshly manured soil. 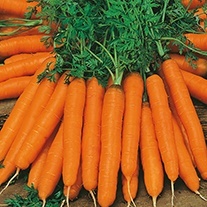 Carrot seeds can be sown directly into a well-prepared seed bed from as early as January (but will need fleece or cloche protection). 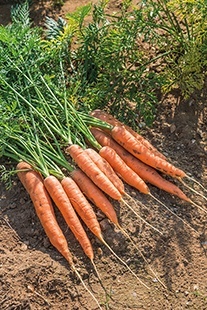 Rake in a good handful of general-purpose fertiliser a couple of weeks before sowing. 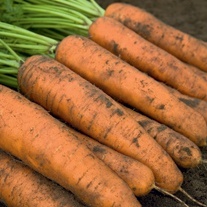 Sow very thinly to a depth of 1cm/ ½ in and cover with a fine layer of compost or vermiculite, in rows approx. 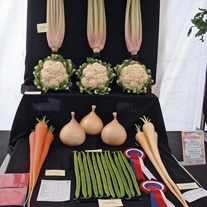 15cm/6in apart. 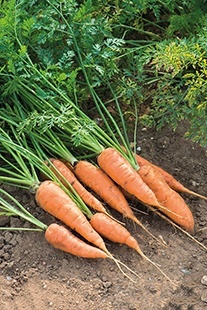 Once the seedlings are showing their first, rough leaves, thin them out to about 5cm/2in between each one. 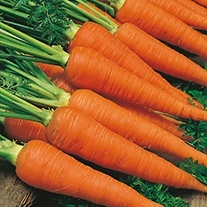 Try not to crush the leaves as the smell can attract carrot root fly.